Includes vacuuming the entire vehicle and a blowout scrub steam clean all fabrics and upholstery removing stains and stubborn dirt and disinfecting and deodorizing. clean all vinyl and compartments cracks and crevices along with cupholders and vents then all vinyl and leather are cleaned and condition. Headliner is spot cleaned and all windows on the interior are cleaned. 45 mins to 2 hours to complete. First vehicle is hand washed then we used clay magic to remove harmful contaminants stubborn bugs and dirt and grime from daily driving. Then vehicle is buffed to remove light scratches and imperfections in the paint restoring your vehicles Lester and shine then wheels and tires along with any body molding or chrome are done and exterior windows restoring your vehicle to how it should look then A final hand wax to protect your vehicle for 3 to 6 months or we have a paint sealant that lasts for up to a year. 1 1/2 to 3 hours to complete. Includes everything you see and interior detailing and exterior detailing along with the motor. It is decreased and dressed bringing your complete vehicle to frontline ready as if you just got it from the dealership. 3 to 4 hours to complete. The works package includes everything you see in interior and exterior detailing along with the complete and includes a very more in-depth detail like the showroom floor or a car show making your vehicle stand out from all the others. 5 to 8 hours to complete. Overspray happens every day whether someone’s painting a house a building roof coating bridge or someone just carelessly spraying paint into the air and lands on your vehicle there are only a few safe methods in which removing the paint from your vehicle service will not result in damage we have been doing overspray removal since 1997 specializing in latex enamel polyfoam coatings and seals. An easy way to test to see if you have overspray on your vehicle if it is not visible is to run your hand along the surface of the clearcoat and if it feels like sandpaper raft chances are you more than likely have a contaminant on your vehicle. We specialize in removing those contaminants so please call us it may save your exterior from harmful chemicals and solvents that will fade and damage your paint. We do travel to the four state regions within our coverage area to do overspray removal. must inspect vehicles to determine price But a ballpark figure normal overspray removal starts at $175.00 to $900.00 depending on how bad the vehicle is if it requires wet sanding to remove overspray contaminants process takes 3 to 10 hours. Or ceramic coating’s are the ultimate in protecting your vehicle and keeping your Lester and shine. It’s like adding an extra clearcoat to your vehicle that’s stronger. How much, up to 10 times stronger than your normal clear-coat protecting your vehicle beyond any wax or paint sealant possible process does take up to 24 hours to cure, prices start around $599 to $850 depending on size of vehicle. Our power washing unit is a mobile power washing vehicle capable of power washing buildings houses sidewalk shopping carts fleet vehicle heavy equipment and etc. we have steam available up to 272° to remove any grease or hydraulic or dirt from whatever were washing please call for pricing. 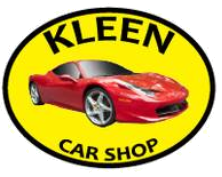 © 2019 Kleen Car Shop. All Rights Reserved.